For over 30 years, I’ve witnessed many changes in our space. Through technology convergence and M&A activity, the telecommunications industry and indirect channel have evolved, significantly. Right now, we’re in the midst of one of the most exciting times I can remember since I founded TBI in 1991. TBI continues to grow with the addition of a National Channel Manager in Texas. New SD-WAN Course on the University of TBI! This article was originally published on Channel Partners Online. 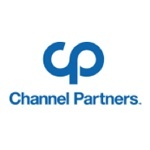 PRESS RELEASE — CHANNEL PARTNERS EVOLUTION — Leading Master Agent, TBI Inc. (Booth E73) has announced that national expansion, automation tools and investments in training and partner development have contributed to doubled revenues within the first half of the year. Continued reinvestment into the company will increase TBI’s market share and further position the distributor as the strongest in the country. TBI continues to grow and better serve partners in the southwest and southeast regions. 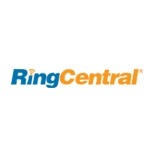 BELMONT, Calif.--(BUSINESS WIRE)--RingCentral, Inc. (NYSE:RNG), a leading provider of enterprise cloud communication and collaboration applications, today announced its new Master Agent partnership with TBI, a leading distributor of data, network, cloud, voice and managed services. With the addition of TBI to its partner program, RingCentral continues to build in 2016 on the channel momentum it has already established. RingCentral has made significant investments in their indirect channel program and have recently announced further expansion by adding TBI as one of their premier Master Agents. They are now partnered with TBI delivering our 2500+ agents leading UCaaS technology. RingCentral touts an easier to manage, more flexible and cost-efficient communications solution to on-premise legacy systems. We’ve added SIP (Session Initiation Protocol) training to the University of TBI! TBI is investing even more into developing partner resources and advancing our support services. Having a skilled engineering team at your disposal brings an elevated level of knowledge that ultimately benefits your customers. Turn to leading TBI engineers to provide expert technical advice on best-suited IT solutions, and in turn establish yourself as a true technology consultant. Back when I was a collegiate English professor, I built a learning website for each and every one of my classes. These sites handled a lot of different trainings and teaching functions, but the one thing that my students consistently thanked me for was making all reading materials free and accessible online. These sites weren’t just evaluation tools and grading platforms, they were valuable portals to true learning. CHICAGO – April 5, 2016 – TBI announced today that Ash Kakish has joined the master agency as a National Channel Manager in Chicago to further grow and support the company’s agent partner base in the Midwest region. Ash brings over 10 years of experience in indirect sales and a strong background in Business Development. CHICAGO – April 5, 2016 – TBI, the nation’s leading technology distributor, announced the addition of Johnson Tran as a National Channel Manager to further support and grow the company’s agent partner base in Houston, TX. Johnson brings over 12 years of experience in the telecommunications industry with a strong focus in mobility sales. LEXINGTON, MA – March 2, 2016 – Nationwide business telecommunications services provider, New Horizon Communications (NHC), announces their partnership with TBI, the nation’s leading third party distributor of technology services. CHICAGO, IL - January 6, 2016 - TBI, the nation’s leading technology distributor, announces today that they achieved Elite Channel Partner status through the Level 3 Channel Partner Program. MORRISTOWN, NJ – October 19, 2015 – BCN Telecom is eager to announce their partnership with TBI (formerly Telecom Brokerage, Inc.) the nation’s leading third-party distributor of technology solutions. As BCN’s channel partner, TBI’s network of more than 2,000 agents will now have access to BCN’s comprehensive set of converged Voice, Data, Wireless and Cloud Services from over 75 different network providers, delivered on a unified platform. CHICAGO, IL – October 15, 2015 – TBI (formerly Telecom Brokerage Inc.), the nation’s leading technology distributor announces today that they have achieved platinum level in Verizon’s tiered business partner program. CHICAGO, IL - October 8, 2015 – TBI announced today that Victoria Kleinman has joined the master agency as a National Channel Manager to expand and support the company’s agent partner base in Philadelphia. 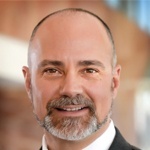 Kleinman brings over 8 years of experience in the telecom industry and particular expertise in cloud computing sales. 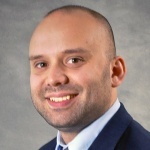 CHICAGO - September 16, 2015 - TBI annouced today that Corey Cohen has joined the master agency as Director of Marketing to drive the company’s marketing strategy and lead advertising initiatives.